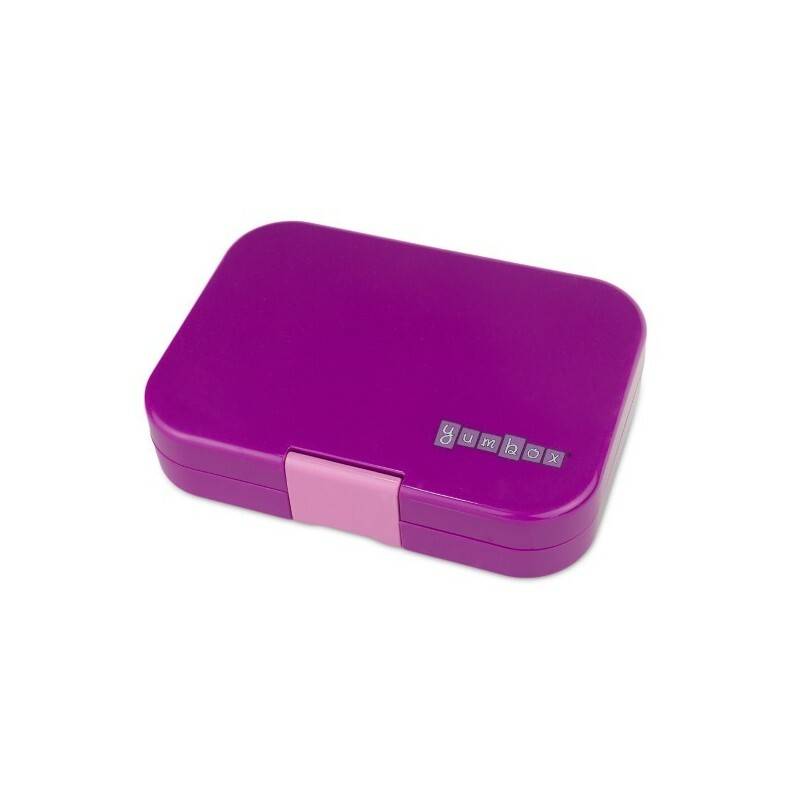 The dark purple, Original style Yumbox is a bento lunchbox with 6 compartments and a single lid. 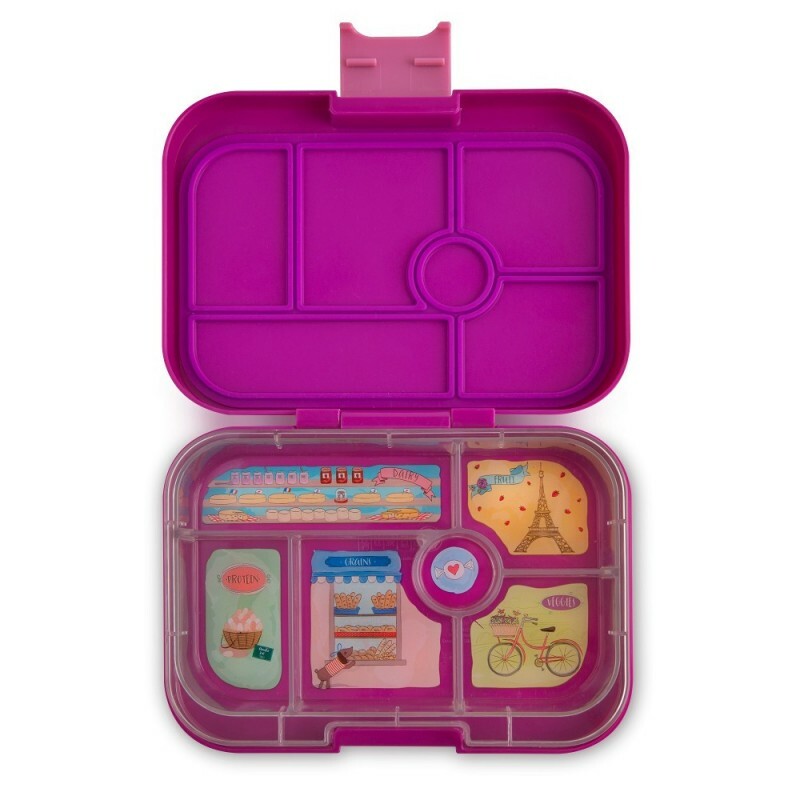 Perfect for children who like variety, the Yumbox Original is divided into 5 half-cup portions of the key food groups, plus a dip/treat. Pack wet foods like yogurt and dips (but not water or runny liquids). Bijoux Purple colour. 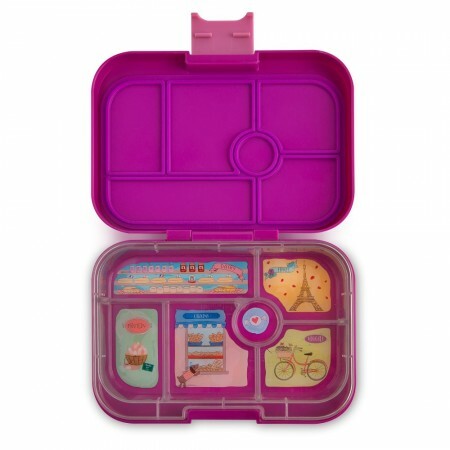 Includes dark purple box and tray insert with Paris themed illustrations. 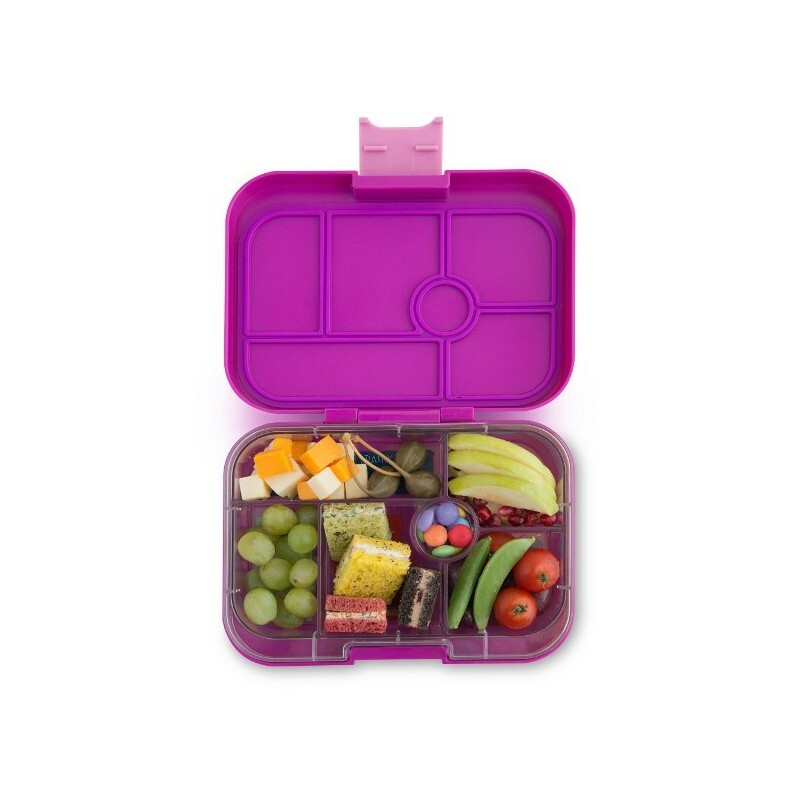 Each compartment is totally seperate...no slight gaps so foods remain unmixed! Colour is a favourite too.